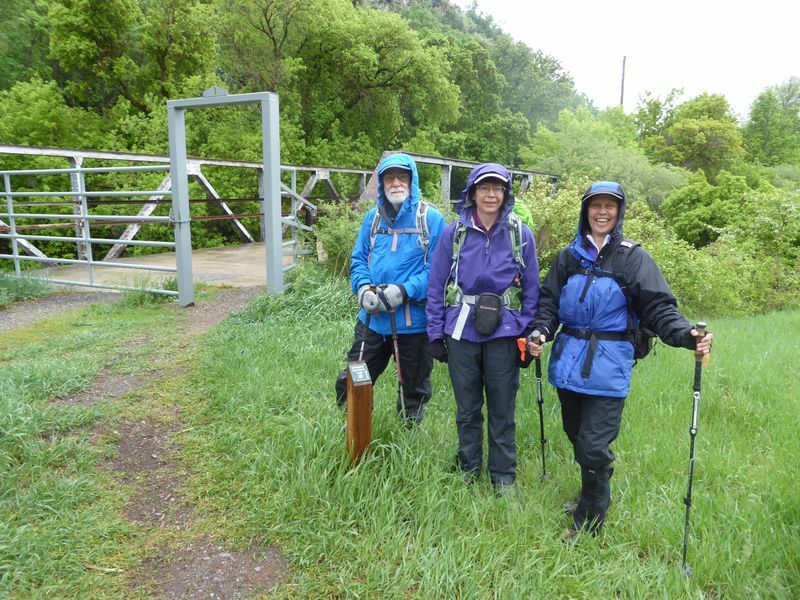 Four Cache Hikers, Dave P., Jane, Laurel and the leader, Dave W., braved the wet weather and stormy forecast for a hike on the Blacksmith Fork River Trail. We judged the rain at our meeting place to be "light", so we decided to go ahead and give it a try. We drove to the trailhead parking area at the mouth of Blacksmith Fork Canyon and walked across US 101 to the bridge and the beginning of the trail. 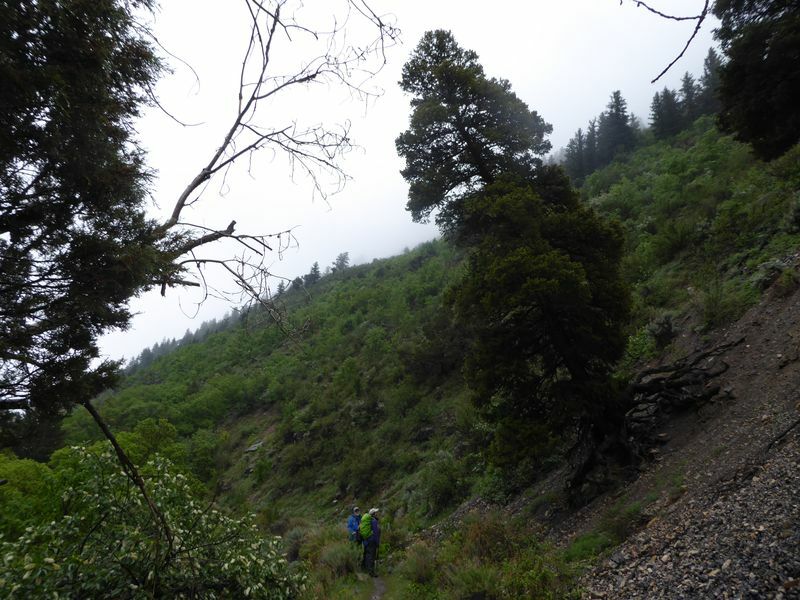 Light rain continued off-and-on, but it was not unpleasant hiking. 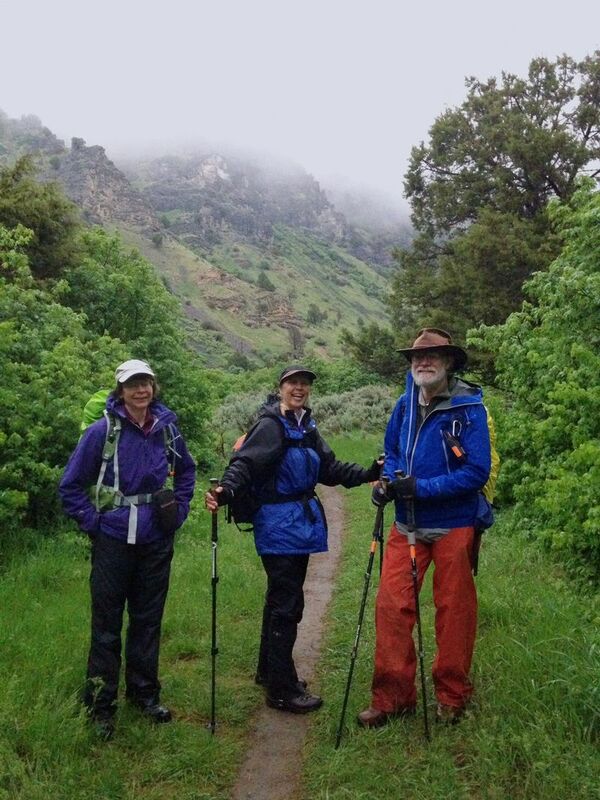 Our rain gear kept us dry and there was little mud on the trail as we enjoyed wildflowers and views of the craggy cliffs above us. Last year the trail ended after 1.7 miles at a vehicle access point, but the Forest Service recently extended the trail another half mile. The trail officially ended near a fenced water infrastructure, but we decided to explore the unofficial trail that continued to the east. We followed this section about 1/4 mile as it snaked through the trees before we abandoned our effort and returned to the official trail. (Apparently build by mountain bikers, the Forest Service has taken efforts to close this unauthorized trail). The rain had stopped and a little sun shone briefly though the clouds, encouraging us to stop for a lunch break about 1/3 of the way back to the trailhead. Unfortunately the good conditions did not last and we had to hike out under heavier rain with occasional thunder and lightning. 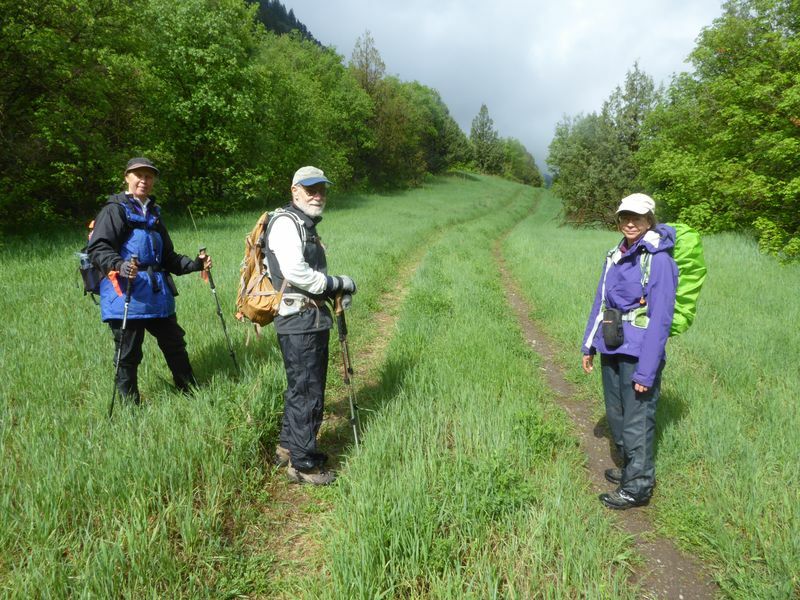 Thanks to Dave W. for the narrative, photos and the GPS data and Dave P. for photos. 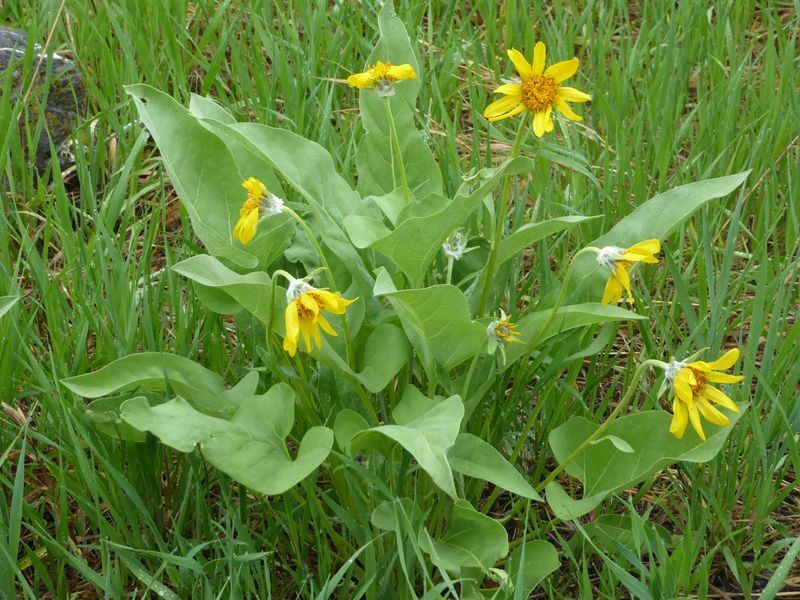 Note: This is newly constructed trail was opened in fall 2016 through the collaboration of Hyrum City, Cache County and the Utah Conservation Corps. 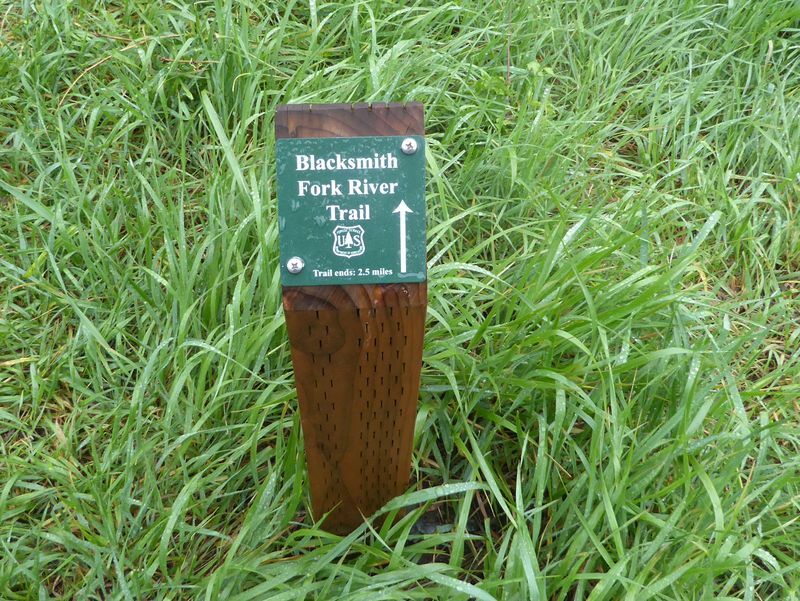 Recently the the U.S. Forest Service took over management of the trail, extending it's length and updating the trail signs.